If you’ve just been told you have prediabetes you are certainly not alone. The Centers for Disease Control and Prevention estimates that 84.1million Americans are considered to have prediabetes. Of those with prediabetes, 90% don’t even know they have it. While the diagnosis can be scary and overwhelming, it may actually alter your life for the better. I have witnessed patients with prediabetes completely change their life in a good way—their diagnosis empowered them to eat healthier, exercise more, lose weight, feel better, and prevent type 2 diabetes. The American Diabetes Association Standards of Care reports that you can prevent or delay type 2 diabetes with lifestyle changes. For most, prevention relies heavily on weight loss. The amount of weight loss needed to prevent or delay diabetes varies from person to person. On average, a loss of about seven percent of your body weight can help reverse diabetes. For a person weighing 200 pounds, this would be a 14-pound weight loss. Each individual is different, but the bottom line is that prevention of type 2 diabetes is possible. Sometimes all you need to do is make small changes. Prediabetes is a term used for individuals with impaired fasting glucose (IFG) or impaired glucose tolerance (IGT). IGF and IGT are associated with obesity (particularly belly fat abdominal or visceral obesity). Your body uses glucose as its primary source of energy. Insulin—the hormone produced by the pancreas—is responsible for taking sugar from your blood to your cells to use for energy. In someone who has prediabetes, this mechanism of sugar utilization is not working properly; sugar in the blood stays elevated, but not high enough to have full-blown diabetes. Fasting glucose is defined as a blood sugar reading taken in a fasting state (you have not eaten in eight hours or more). A standard blood test can provide this measure. Impaired glucose tolerance is a measure of how your body responds to a glucose load. For example, each time you eat carbohydrates, the food is broken down and converts into sugar. Insulin is secreted by the pancreas to take the sugar from the blood to the cells to use as energy. If your blood sugar remains elevated one to two hours after a meal, your body is unable to keep up with the glucose load. This can be determined by an Oral Glucose Tolerance Test (OGTT). OGTT is a test done by testing the blood before and after given a glucose load (a 75-gram carbohydrate drink). A person can fall into the prediabetes range by having an elevated Hemoglobin A1c (HgbA1c). The HgbA1c is a three-month average of the blood sugars. Where the fasting glucose and glucose tolerance test give a snapshot of what the blood sugar is doing at a given time, the HgbA1c gives an average of 24 hours over the course of three months. Get Support: First, start off by getting support—join a program targeting weight loss or meet with a registered dietitian or certified diabetes educator. 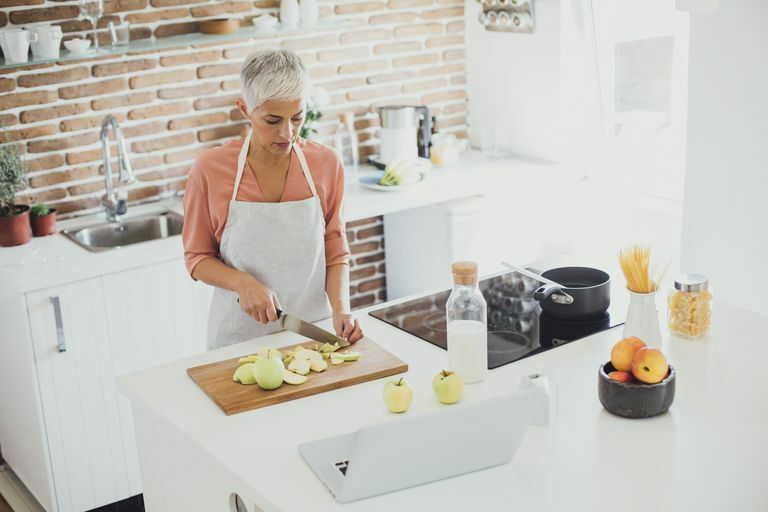 Programs or one-on-one counseling directed towards weight loss can help you learn what foods impact blood sugars the most, portion control, and how to eat a healthy, well-balanced diet. You will also want to move more, aiming for at least 150 minutes per week. The most successful people are those that follow-up consistently. Follow-up counseling is motivating and helps to facilitate change. Ask your physician if he or she has someone or a program they can refer you to. Eat a High Protein Breakfast: A recent study showed that eating a breakfast rich in protein can aid in weight loss and blood sugar control. For some people starting the day off with a high carbohydrate breakfast can cause sugar cravings throughout the day. And the more carbohydrates you eat the more stress you put on the pancreas to make insulin. I tell my patients to avoid: sugary cereals, muffins, bagels, and granola as often as they can, but especially in the morning. Practice the Plate Method: Aim to make half your plate non-starchy vegetables (salad, broccoli, spinach, cauliflower, onions, peppers, eggplant, etc). This will provide volume, water, fiber and limited carbohydrate. A quarter of your plate or about 1 cup should be dedicated to your starch: whole grains such as quinoa, barley, bulgar, and other complex carbohydrates including, sweet potato (with the skin), squash, and beans. And the other quarter of your plate or about the size of a deck of cards should be lean protein: white meat chicken, turkey, fish, lean beef. Eliminate All Sweetened Beverages and Added Sugars: Sugary beverages can cause fluctuations in blood sugar and weight gain. Avoid juice, soda, sweetened iced tea, and adding sugar to your coffee. Instead, drink unsweetened tea, coffee, seltzer, and water with lemon or lime. Consider Medicine: While lifestyle modifications are usually preferred, the American Diabetes Association suggests that the use of Metformin may be considered in those with impaired fasting glucose, impaired glucose tolerance, or elevated HgbA1c. For those with a BMI of >35 kg/m2, aged <60 years old or women with prior gestational diabetes, this may be more suitable. Metformin is a medication that helps with insulin resistance by utilizing the insulin the body makes and sending a signal to the liver to stop making excess sugar. It is a weight-neutral medication and used as the first line of treatment in those with diabetes. It should not be taken unless prescribed by a doctor. American Diabetes Association. Standards of Medical Care in Diabetes – 2017. Diabetes Care. 2017 Jan; 40 Suppl 1: S1-132. Centers for Disease Control and Prevention. Prediabetes.